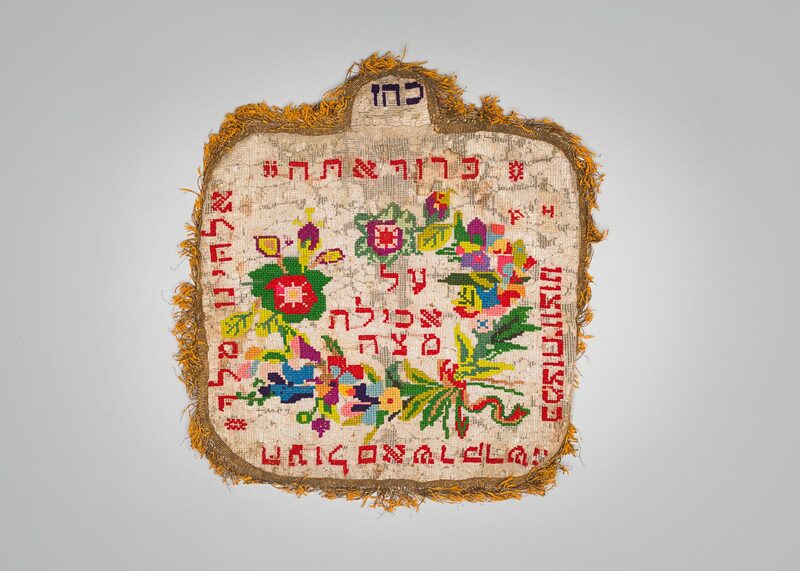 This matzah cover is embroidered with colourful flowers and Hebrew inscriptions. The opening is used to insert matzah, a unleaveaned bread. Matzah is consumed at Passover, an important Jewish holiday, which commemorates the Exodus of the Jewish people from Egypt. As Jews fled slavery, they had no time to wait for the bread to rise and matzah is thus a way of commemorating that escape to freedom. 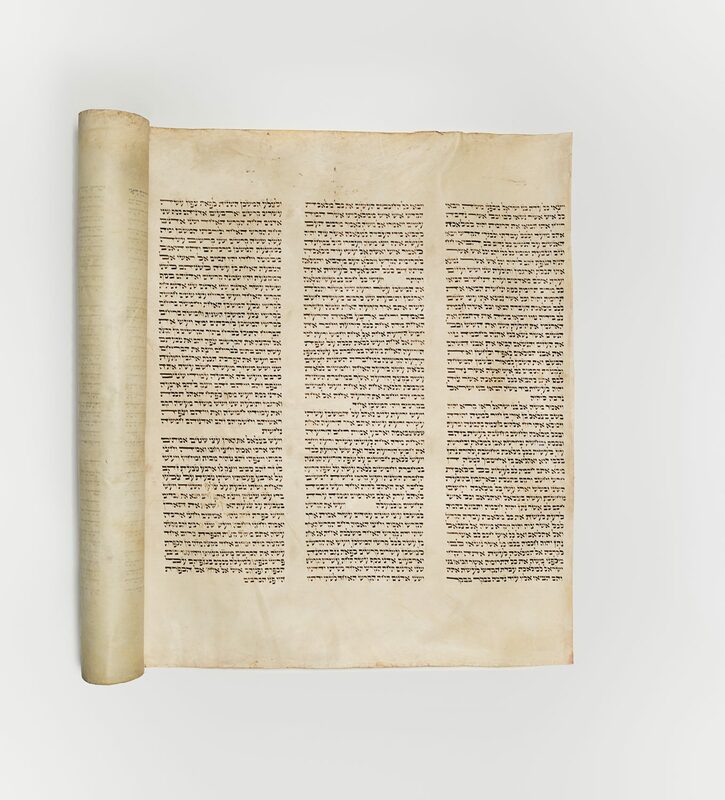 This object belonged to Martha Blum’s family who lived in Czernowitz, today in Ukraine. 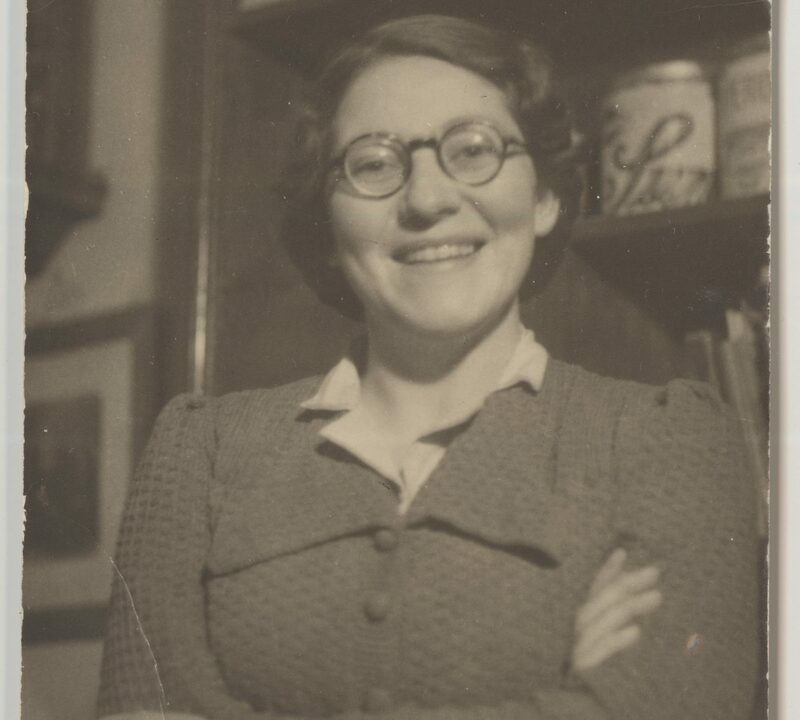 Martha Blum working in a pharmacy in 1933. 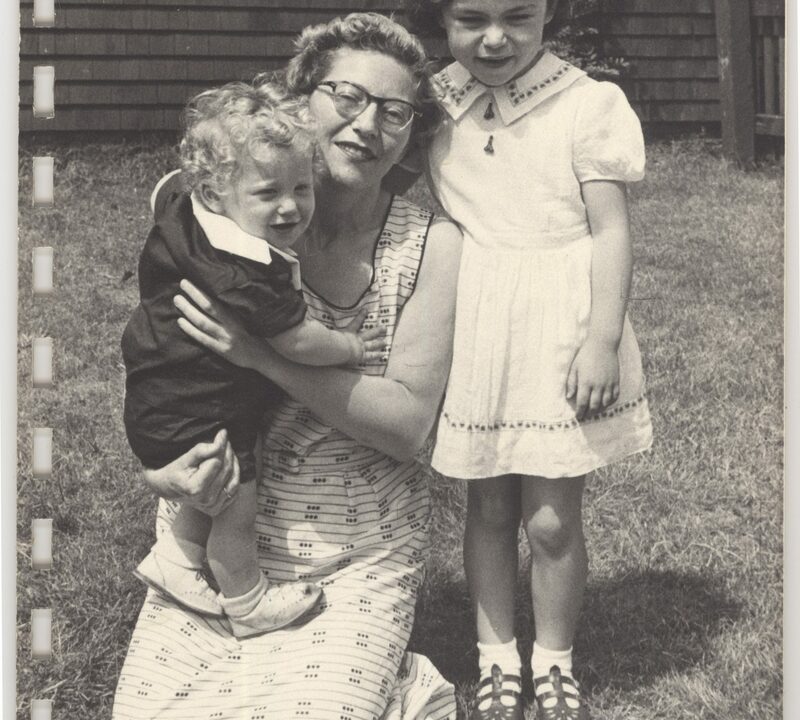 Martha, her daughter Irene and son Alexander, photographed in 1954 in Canada. Born in 1913, Martha studied chemistry to become a pharmacist like her father Abraham Guttmann. She married Richard Blum in 1936. 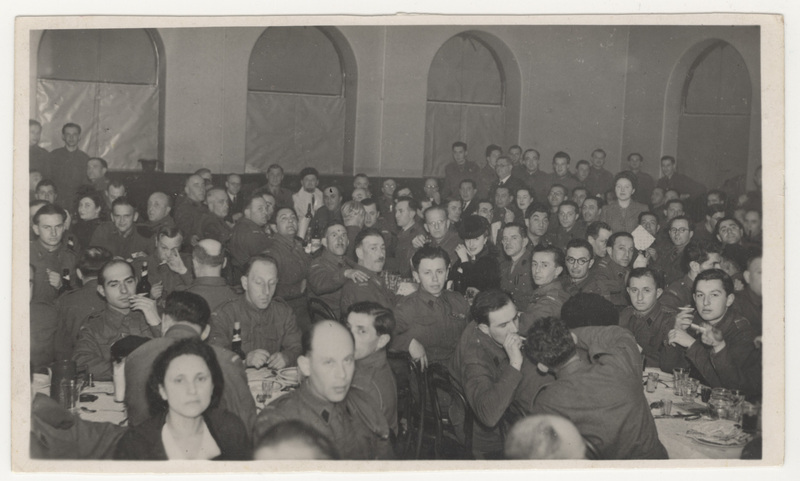 When the Nazis and their Romanian ally took back the city, the Jews of Czernowitz were sent to a ghetto. Because Martha’s family members were pharmacists, they were put on a preferred list and avoided deportation. 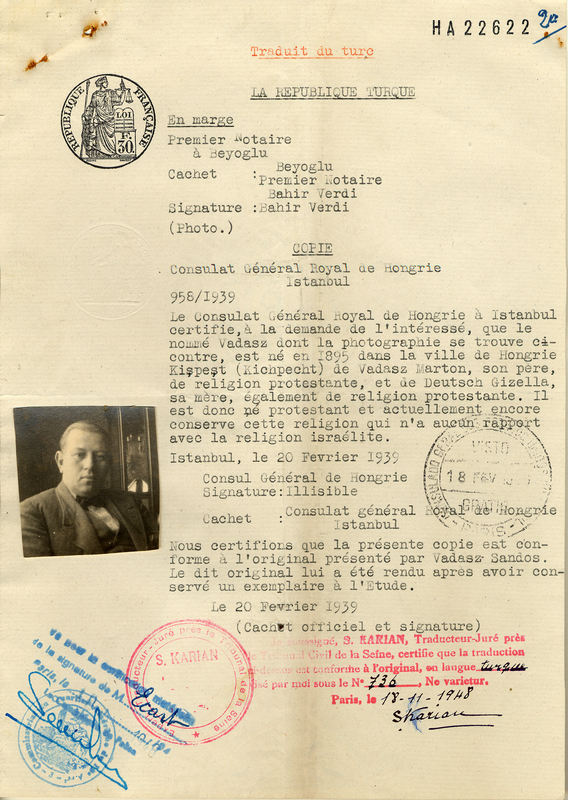 In 1944, Martha paid to be smuggled on a train to Bucharest, Romania. Her parents joined her in 1945 and, having sold all their belongings, gave Martha five pieces of gold to open a pharmacy. In 1948, Martha gave birth to her first child Irene. 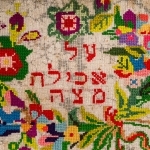 The family immigrated to Israel in 1950, then to Canada in 1951. The Blum family settled in Saskatoon in 1954. Martha worked as a pharmacist and a vocal coach. At 86 years old, she published her first book about her experience during the Holocaust. She passed away in Saskatoon in 2007 at 94 years of age. 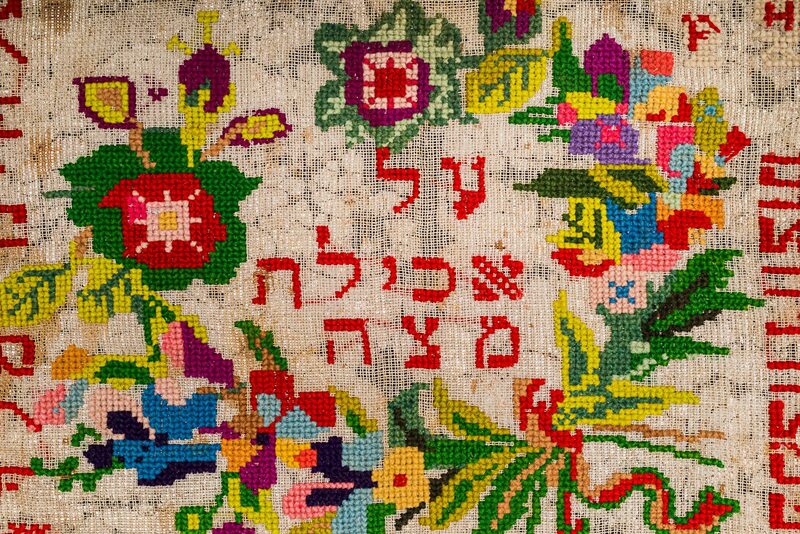 Martha’s friend, Carol Arcus, donated this matzah cover to the Montreal Holocaust Museum in 2016.